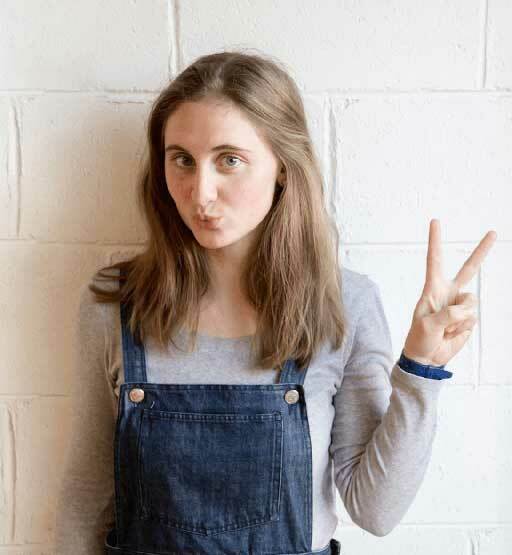 Here at Paperlust we are all about supporting Australian designers. We’re a country that is not lacking in local talent and so have collated a great selection of unique and creative wedding invitation designs for you to choose. There’s something about Australian designers; they have a style all their own that is so different from the rest of the world. We love being able to give artists the chance to get their work online and share it with you. 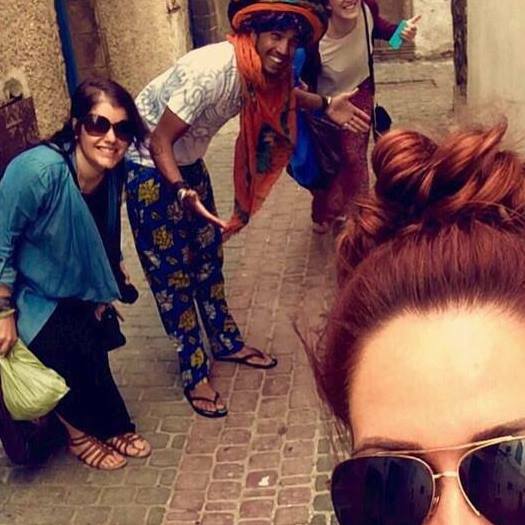 Our designers come from all over the country, each bringing with them their unique design style. When you look through our gallery of designs, you can see there is a straightforward and clean aesthetic, while still being focused on every detail, which is shared through the many different designs, a style that is uniquely Australian. Some of our designers focus on beautiful typography, creating lettering that is stylish and distinctive and personalised just for you. 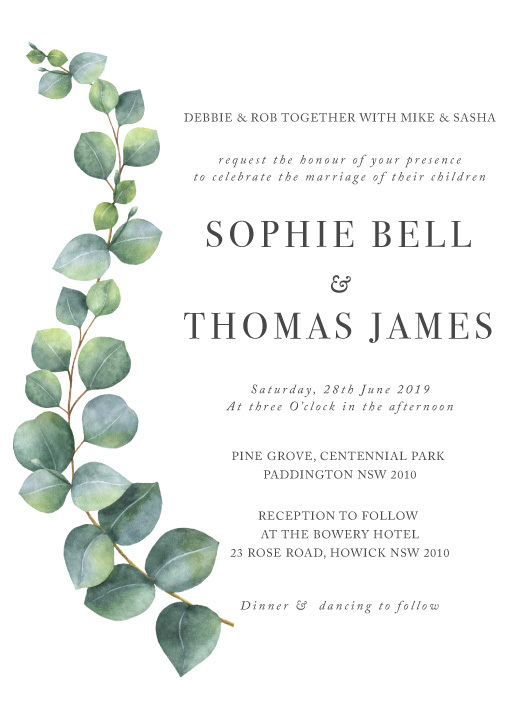 Some of our other designers use splashes of colour for invitations that stand out and can match your wedding’s colour palette, and others create stunning illustrations to decorate the wedding invitations and make them into works of art. Some designs are sure to appeal to everyone, no matter what your taste or wedding’s theme. We also have an in house design team that can create unique custom wedding invitations. Browse through our wedding invitations gallery, and you’re sure to find a designer who has created something that is perfect for you. Our designers are dedicated to creating beautiful designs that will add to the specialness of your wedding day. Many of our designers are still young, so it’s important that we nurture their talent and give them a chance to share their work and further develop their creative skills. Through Paperlust you are helping us to help support Australian designers and ensure that they always have a platform through which to create invitations and showcase their work. We like to provide support to our designers with our Feedback Gallery and our invitation Design Challenges which allows them the opportunity to get feedback on their work and share their ideas and inspiration with a wider community. Our designers receive a commission on sales of their designs to help them develop a solid body of work and progress their design careers. 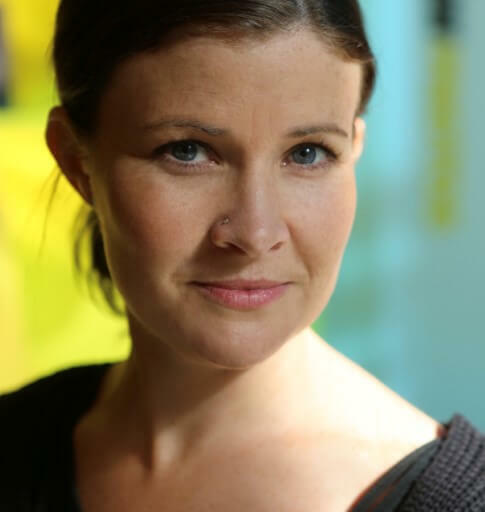 The design market can often be quite saturated with American influences, and it can be a challenge for Australian designers to break into it, so we want to make sure Australian creatives have a global platform to get their work recognised and put Australian graphic design on the map to showcase the incredible talent we have here. There are hundreds of ways to get wedding invitations, from importing fancy designs to tracking down free printable wedding invitations templates, but there's no substitute for knowing you're supporting local design talent. Australian designers take inspiration from all parts of life and use it to create their style so that each designer has something new and different to offer. 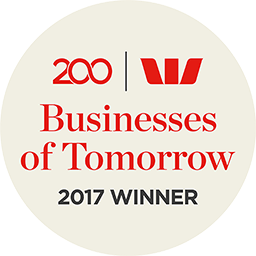 We have a great mix of different cultures within Australia, as well as a diverse range of landscapes, which means our designers have a wide variety of influences to take their inspiration from, and that shows through in their design work. 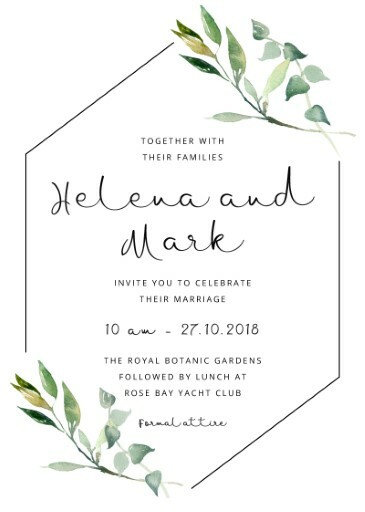 When it comes to wedding invitations, and all manner of design, Australia has a lot to offer, our designers have their own distinctive aesthetic to create unique designs that you are bound to love. 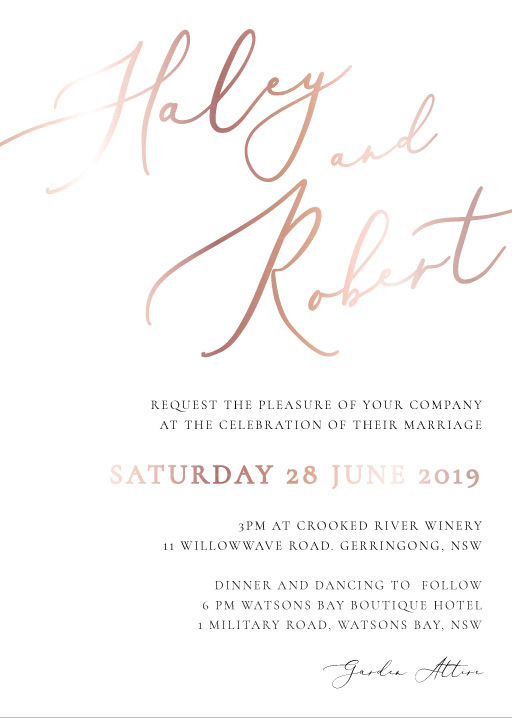 We love Australian design, and we hope that after looking through our beautiful range of wedding invitations that you will too. And even better? Our designs aren't just for Aussies. 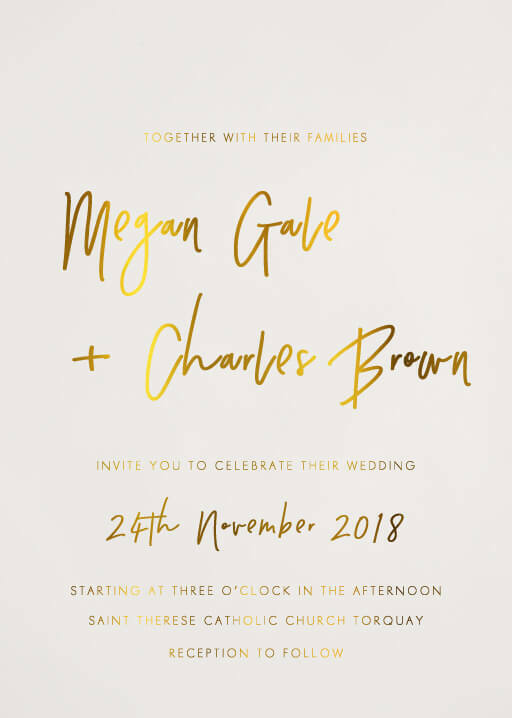 We ship event and wedding invitations to the UK, USA, Canada, and almost every other country around the world, and we even have styles suitable for fall wedding invitations. Sure, you'll find our vintage wedding invitations in Brunswick and our contemporary wedding invitations in Wetherill Park, but you'll also find our floral wedding invitations in South Africa and our greenery wedding invitations in Ireland. There's truly something for everyone and every place at Paperlust. There are a million reasons why finding your wedding invitations online is a great way to go. Like with anything, shopping for online wedding cards gives you access to a huge range of styles and print types that may not be available to you if it weren’t for the internet. 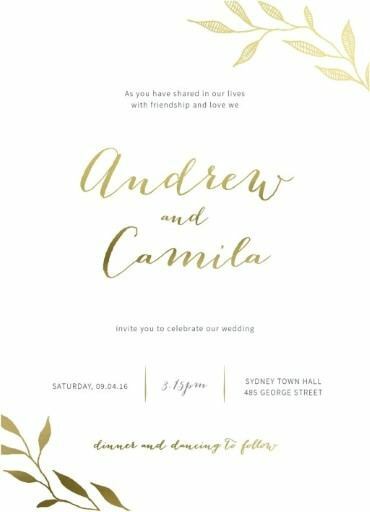 No matter what style of wedding you’re planning, there are online wedding invites that will fit your aesthetic, even if it’s well outside of the standard options. This could be anything from rustic wedding invitations, classic wedding invitations, vintage wedding invitations, floral wedding invitations, or country wedding invitations. 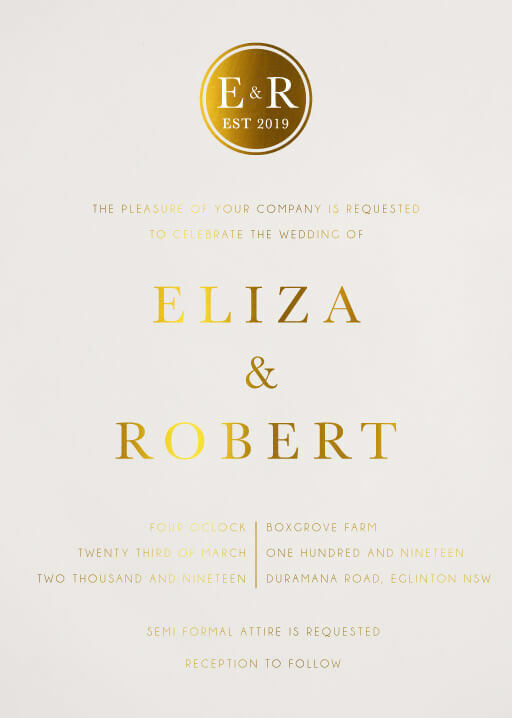 Whether you’re working on a tight budget and looking for cheap wedding invitations, or hoping to splash some major cash on solid gold invites, there are online wedding invitation cards for you. You can even track down online wedding invitations templates and other wedding invitations online cheap if price is the most pressing concern. At Paperlust we have carefully curated our collection of designs to ensure that you have access to the very best designs from a range of different categories and styles. Whether you're specifically looking for floral wedding invitations, lilac wedding invitations, or vellum cards for delicately layered wedding invitations, we've got something for you. 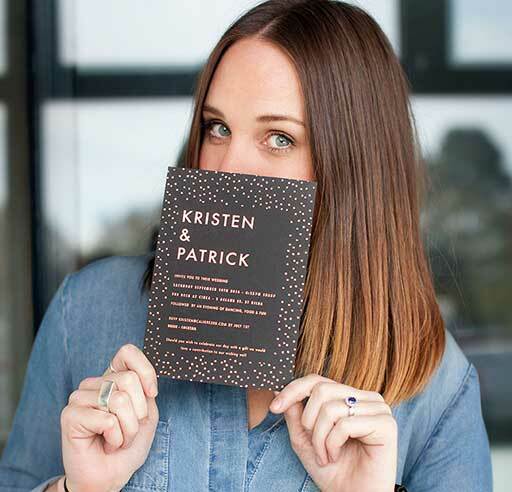 Online wedding invitation design sites like Paperlust collate the very best designs from the very best independent designers, giving you access to them without needing to do all the work of finding, reaching out and connecting with them individually. There’s nothing quite as practical as buying wedding invitations online: browse thousands of designs from the comfort of your own home and have them delivered right to your door. Wedding invitations online ordering systems take all the pressure off you and make things easy: A lot of companies even have wedding invitations online rsvp collection systems to take care of rsvps for you. Plus, because our designs are completely customisable, you can make them perfectly suited to your event, even for non-traditional weddings or wedding vow renewals. Every design sold on Paperlust is completely customisable, which ensures your needs and desires aren't limited by designs that are only almost perfect. Found a design you love but were also hoping to reflect your faith with Christian, Jewish or Islamic wedding invitations? Want to give a nod to your heritage with Italian wedding invitations or Indian wedding invitations? Looking to transform one of our designs into your dream medieval wedding invitations? Any of these options are just a few clicks away, meaning the same invitation can work perfectly for thousands of different events. Your wedding invitations play a significant role in your wedding both aesthetically and functionally. In the excitement of choosing beautiful paper and design, it’s easy to overlook the importance of your wedding invitation wording. What should your invitations say? Most important – and most obvious – is that your critical information is all there. What do your guests need to know to be able to attend? Or How to address your wedding invitations? It helps to remember the old primary school ‘who, what, when, where’ writing trick. Who to include on the invite? You need to include the names of who is getting married, but people also take cues from the invitation as to who is hosting the event. The names of your parents may be included, or a reference to your families, especially if they are contributing financially to the wedding. 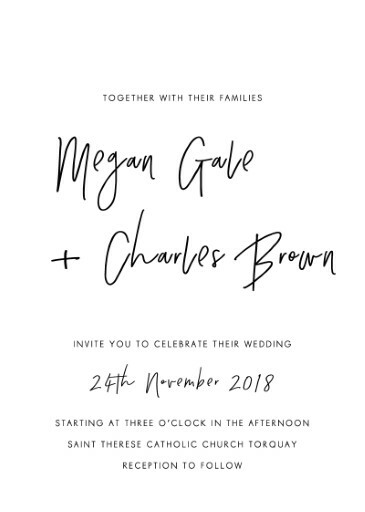 Typically wording for wedding invitations from the bride and groom (rather than from other hosts) is more casual across the whole invite, but there are no rules! What to include on the invitation? The wedding of course! But you should also specify if the event is a ceremony only, reception, an afternoon tea, or a weekend-long extravaganza. You should also give hints as to the style of the wedding so that guests can dress and behave appropriately. When? Dates and times need to be precise and accurate. Where? List your venues. It’s up to you if the full address is written out or if the name of the place is sufficient, but check how easily your guests can find the correct location with a quick Google search. And Also: Don’t forget your RSVP details! You may also include the dress code, although this can also be communicated on your wedding website or just through word of mouth if you prefer to keep it simple. And after all that, you'll need to address them - check out our guide on how to address wedding invitations to help get you started. So far this might all seem pretty obvious and self-explanatory. The trick is how to include all this information. There are a few Do’s and Don’ts which we’ve covered before, but when it comes to more abstract decisions about wording, it can be even more confusing. The trick is this: The style of your wedding invitation wording is directly related to the style of your wedding. Traditional etiquette is much more important if you’re going for the formal side of things, so be sure to brush up on that! We’ve written a breakdown of wording formal wedding invitations, so try that for a start. 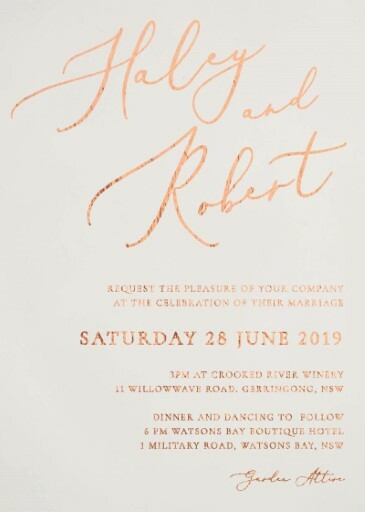 Formal invitation wording is often paired with a more luxury print type like letterpress, foil, or even something like laser cut wedding invitations, but it can be perfectly appropriate to pair it with a more simple print type as well. You can more-or-less set your rules if your wedding is going to be casual, but that can be even more confusing because there isn’t a clear template to follow! Feel free to get creative, just remember to include all the basics as listed above. If you’re stuck, there are some great ideas online from which you can seek inspiration. If your wedding style is more of a hybrid, try reading examples of formal and casual invitations to decide which you prefer, and what elements you want to incorporate from each. You could use informal wording but include your parent's names, or use formal wording but with a casual design. As long as the basics are all there, you can mix-and-match to your heart’s content. That should give you a solid starting point to invitations that fit perfectly with your wedding. Remember the basics, keep an eye on your etiquette, and the rest is up to your creativity. There are no hard and fast rules when it comes to wedding invitation etiquette. It is important to include the names of who is getting married, the date, and where the wedding will take place. After that, any other information can be given by word of mouth if necessary, through additional insert cards, or by directing your family and friends to your wedding website. If you’re still worried, we’ve rustled up a few simple Invitation Do’s and Don’ts to save you the stress. Make sure the language is consistent throughout your invitation and card suite. The language might be as simple as choosing between colons or hyphens. But there’s also nothing worse than discovering a spelling error on the invitation when it comes back from the printer. So, proofread! Get your mum to proofread! Make sure they double check it at the printer before it gets sent off! Double check and triple check. 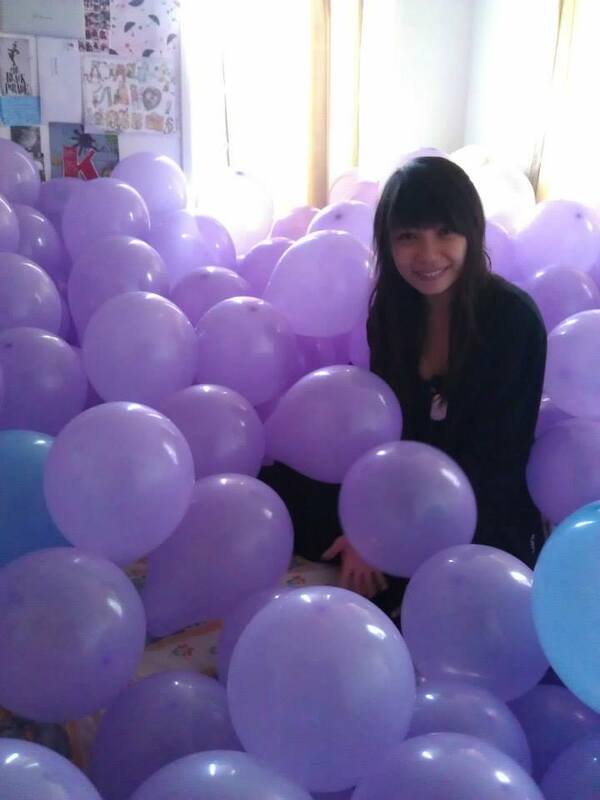 Gift giving is a huge gesture for people to wish you well at the beginning of a new part of your life. It’s hard to let friends and family know you’re all set for crockery. While it might seem easiest to include a link to your registry on the invitation, wedding invitation etiquette dictates that you avoid this. 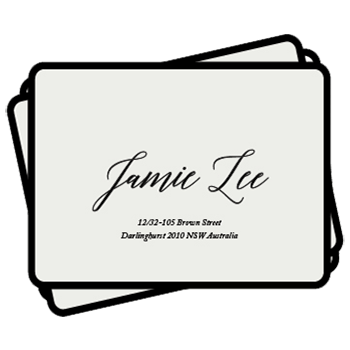 There a couple of ways of getting around cluttering your wedding invitation templates: include an additional closure card in your invitation suite, or you can always use word of mouth. While a lot of people now throw their own weddings, it is still proper wedding invitation etiquette to include a host line. The host line lets guests know who to thank when they’re at the bottom of their second bottle of free champagne. 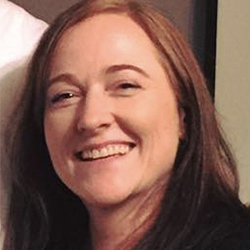 The easiest way to do this on the invitation is to say the parents of the bride or groom invite the guests to join them in the wedding of their children. For detailed examples, try here. The food list is unnecessary on the invitation itself. If it’s important to you that people know what food and drink will be served, you can include an additional enclosure card or place card, with the wedding menu. Or, you can always wait for the reception. Where you can, use full names and titles. It might seem strange to refer to your family friend as ‘Dr. Luke King’, but if your wedding is formal, wedding invitation etiquette is important. Hopefully you’re aware of the names of most of your guests, but if you’re not sure of the name of your cousin’s new girlfriend, ask your aunt. Worst comes to worst, address it your cousin and ‘guest’. A simple, sleek invitation design often only includes the name of the bride and groom with the essential details. You can get around this by personalising the envelopes or even personalising the RSVP cards. This is a tricky one. It depends on the tone of conversation you want to set next time you’re talking to friends. A lot of people would suggest addressing the invitation to only the parents, which implies the children aren’t invited. If you’re not sure this is enough to keep screaming toddlers away, consider talking to your friends and family. Mention that this is supposed to be a fun night out; a chance to temporarily hand the apron ties onto someone else. You can send save the date cards out six to eight months before the wedding. If you’re not so organised, it’s best to send out the wedding invitations six to eight weeks before the date. This gives your guests plenty of time to organise the details of getting there and away, and they can’t complain when you ask them to RSVP three to four weeks prior. If you've got some specific circumstances (like a destination wedding or a wedding near a holiday) check out our guide on when to send wedding invitations for more information. Make it clear if you want a quick text message, an official RSVP on a return piece of card or a response to an e-invitation. If people haven’t got back to you by the RSVP date, you can rest assured it isn’t because they didn’t know how. What is a standard invitation size? The standard invitation sizes are 140mm x 107mm for Baby Shower invitations and Wedding Invitation sizes are 178mm x 127mm. The square invitation size is 147mm x 147mm. Our invitation envelopes sizes are slightly bigger than the invitation. Our formats are prepared for print, however our save the date cards can be provided in a PDF invitation format. All of our invitation shapres are square edged. If the etiquette surrounding wedding invitations is leaving you bewitched, bothered and bewildered, you’re not alone. This Q&A was designed to help you navigate the unspoken rules surrounding your wedding invitations: who to invite, wedding invitation timing, wedding invitation wording examples, more formal wedding invitation wording, and some of the other delicate situations accompanying this part of the wedding process. We had a large engagement party, but are opting for a more intimate wedding ceremony and reception. Would it be rude not to invite everyone who attended our engagement party to our wedding? Some may consider it rude to invite guests to your engagement party, but not your wedding. That’s because engagement party is a gift-giving occasion, and most guests will present you with a gift to help kick-start your new life together. Having said that, always remember that it’s a very personal choice who you invite to your wedding, and only you can determine what’s appropriate. As with most things in life, your gut feeling should never be overlooked. Should we allow 'single' guests to invite a date? If you’re like most, this will surely be one of the most hotly debated questions you’ll face in your wedding planning. Accommodating your 'single' guests is considered a nice gesture, but not a necessity. If you need to manage your numbers carefully, one approach is to exclude “plus ones” for all single family and friends, but make exceptions on a case-by-case basis. One exception might be your wedding party. Also, 'single' guests in long-term relationships should be treated as married couples, and both should be invited. Should we invite work colleagues to our wedding? Is inviting my boss “a must”? There is nothing set in stone about inviting your work colleagues to your wedding. If you hang out with your colleagues outside of work, you’ll probably want to invite them as you would any other friend. If you are in a situation where you would be inviting all or most of your colleagues minus your boss, it may be better to have one extra guest, than to offend someone you have to see on a daily basis. 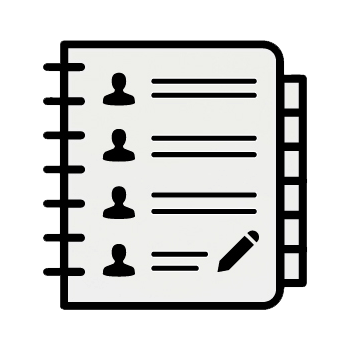 How do we cut our wedding guest list down? This is an age-old dilemma that most brides and grooms must face to keep their budgets in check. It’s always fun to create your list, but always excruciating to start trimming it down. 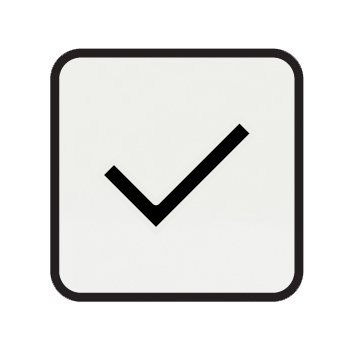 One helpful tip is to create two lists – one for the “must-invites” and the second list for all the rest. From there, here are some ideas for trimming the second list: Don’t feel obligated to invite people who invited you to their wedding; don’t allow every guest to bring a “plus one”; if you wouldn’t call the friend upon visiting their town, you don’t need to invite them to your wedding; if your potential guest has never met your future spouse, you can probably skip inviting that person; for co-workers, ask yourself, “would I be friends with this person if we didn’t work together?” There’s no official wedding invitation etiquette rules about who to invite, so you’ll have to sit down with your fiance (and your parents, if they’re hosting), and work out what relationships are like and who is likely to be offended. Again, trust your own intuition. When do we need to send out save-the-date cards and wedding invitations? Save-the-date cards can go out six to eight months before the wedding. Ideally, wedding invites should be sent out six to eight weeks in advance. For destination weddings, it’s best to give guests three months so they can clear their schedules and make travel arrangements. How far in advance should guests be requested to RSVP? Make your RSVP date three weeks in advance of the wedding. Seating arrangements, catering numbers and other details may depend on your final RSVP list. 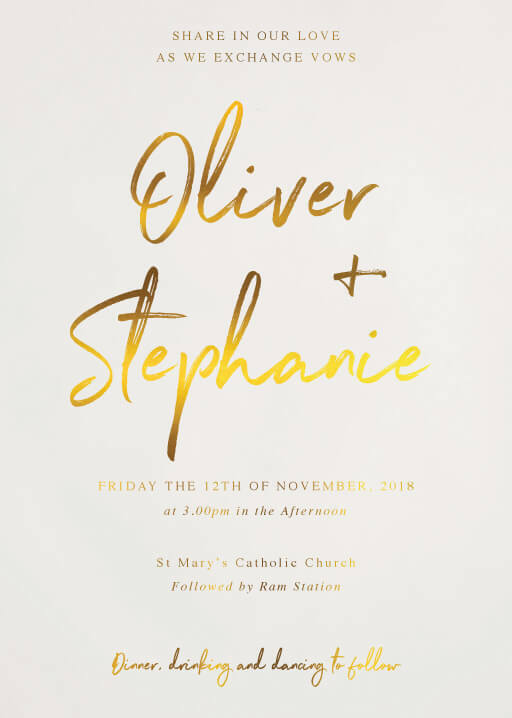 What is the proper way to word the request or host line on a wedding invitation when it’s not the traditional case of the bride’s parents hosting? This tends to be one of the trickier parts of invitation wording – as modern weddings are hosted by an array of different parties. Check out our post on the wording of the various hosting situations here. Does the wedding invitation host line need to coincide with who paid for the wedding? Not necessarily. Hosting can be used in a flexible manner – parents can be hosts in the traditional way (they planned and paid for the wedding), or in a more honorary sense. How do we communicate that we are not inviting children to our wedding? Despite the second-guessing, you might get from friends with kids, it’s perfectly acceptable (and common) to have an adults-only wedding. If you have children in the ceremony, you can opt to have a babysitter come to take care of the kiddies during the reception. To make your intentions clear on the wedding invite, you can write “Adult Reception” at the bottom right of your invitation. The wedding website is also a good place to clarify and to inform guests that you’ll be providing a childcare service for their convenience if you go down that route. If guests send in their reply card with the children’s names written in, the onus is on you to give them a call to clarify that you’re having an adult-only wedding. How do we make it clear that we are not inviting each guest to bring a “plus one”? Ah, this old sticky chestnut! You can do your best to communicate “no plus one” on your wedding invitation, but more likely than not, you’ll have to have some conversations with particular guests to clarify. You’ll likely have your set of rules around who can and cannot bring a guest. How do we communicate that our wedding is formal, even though the venue is casual? 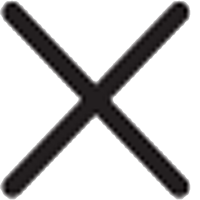 Include your wedding dress code on the lower right-hand corner of the invite (i.e. cocktail attire, black-tie, etc.) You can include more specifics on your wedding website. 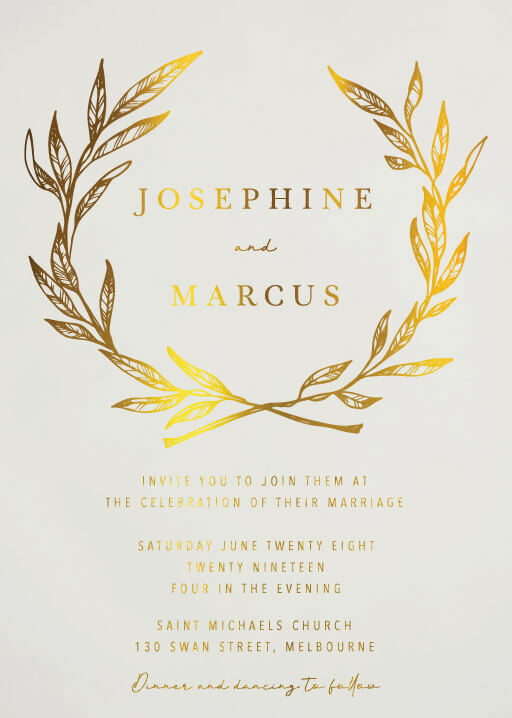 Click here for more examples for more formal wedding invitation wording. How do we invite guests to the ceremony but not the reception? While it’s somewhat common in Australia to invite some guests to the ceremony-only, it’s important to handle it right, so feelings and friendships don’t get hurt. Your formal wedding invitations should only be sent to guests who are invited to both the ceremony and the reception. Ceremony-only guests can be invited in a more casual manner (i.e. in person, with a phone call or email) – express regret that you can’t invite everyone you want to the reception, but that you’d love to share your special moment with them if they join you for the ceremony. Can we include our wedding registry details on our invitation or save-the-date? While etiquette rules certainly change as time goes on, it’s still considered impolite to include your wedding registry details on your invitation or save-the-date. A wedding website is a good way to communicate where you are registered. Many people choose to look for wedding invitations online cheap to keep to their budget, which is a great idea depending how you go about it. The best way to do this is to find a reputable stationery provider online and look for their cheapest product offerings, rather than finding a cheap, too-good-to-be-true invitation company. 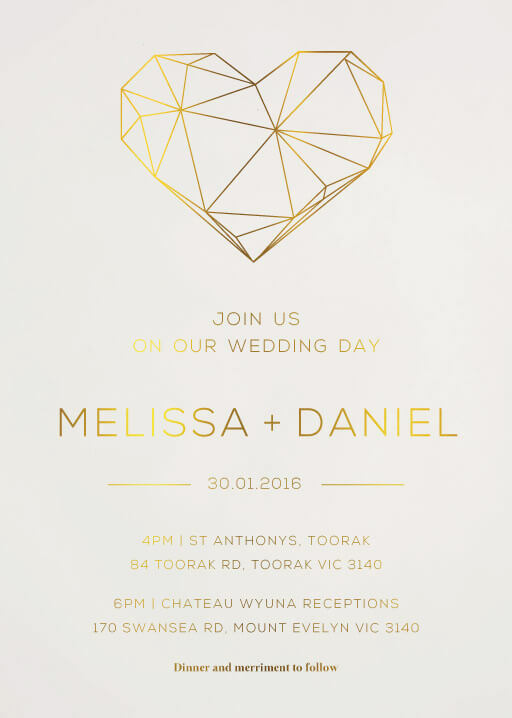 If you’re on a budget, focus on finding good quality basic digital print wedding invitations. Print types like letterpress wedding invitations, print on wood and foil stamping are usually significantly more expensive than digital print. While you can sometimes find premium print options being offered online for cheap, there’s a huge risk that you will not get what you order. Be careful anytime someone online is offering something at ridiculously low prices. If you do choose a reputable company, you can usually select the cheapest paper and print options without fear that they will be cheap and nasty. A luxury invitation business would not be offering the product unless it was of a certain standard. You can order a sample invitation here. Through working with Paperlust, our designers can create a portfolio of work and get their names recognised with the great work they do. 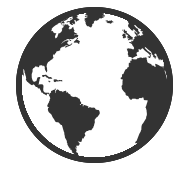 They get global exposure, able to reach audiences all over with their creative vision. If you're looking for Wedding Invitations NZ, go here for a range of designs suited for the New Zealand market. 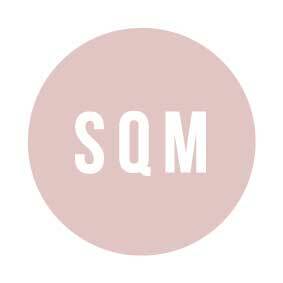 We want to help Australian designers thrive and create a brand that stands for beautiful design and local talent. 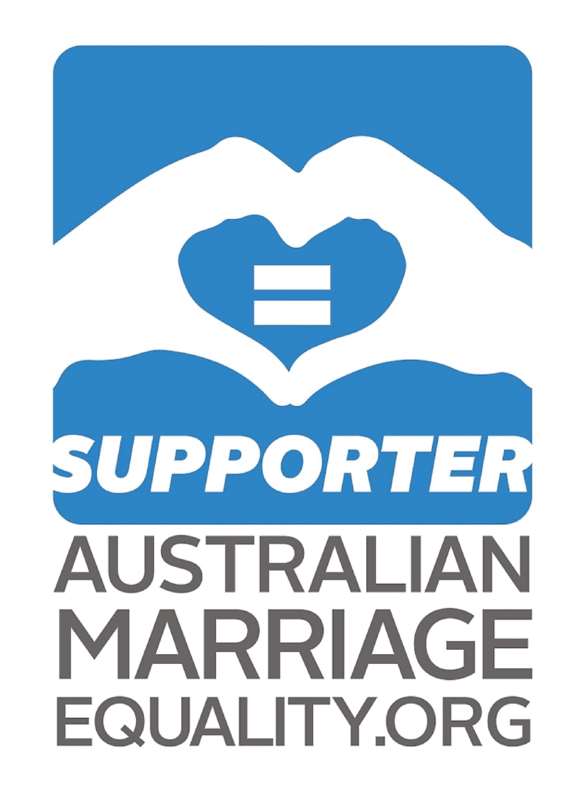 By choosing Paperlust for your DIY wedding invitations you can help us support our great Australian talent and end up with a special design for your special day!